Looking for a pickup that is as ready for your weekend project as it is for a night on the town? Then it is high time that you spent a minute learning a little more about the Nissan Titan XD. Once you do this, the team here at Universal Nissan has no doubts that it will not be long before you find yourself behind the wheel of one of the most in-demand trucks in Orlando. 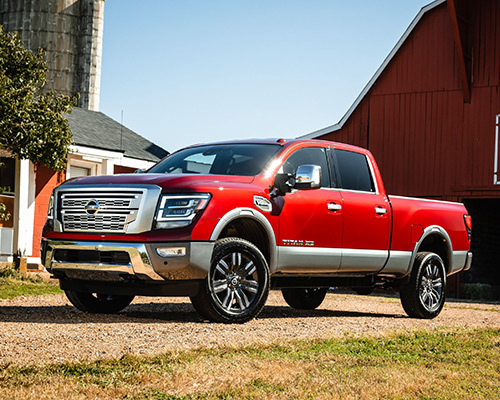 Owning or leasing a Nissan Titan XD is all about tapping into premium power and performance. All together, both a 5.0-liter (L) Cummins Turbo Diesel and a 5.6-L Endurance V8 gas engine are options presented to you. Opting for the Endurance V8 grants you 390 horsepower (hp) and 394 pound-feet (lb-ft.) of torque, while going with the Cummins Turbo Diesel generates an astounding 555 lb-ft. of torque and 310 hp. Have a boat or other favorite weekend toy that you need to tow around? Then the Nissan Titan XD has you covered. With the ability to tow up to a maximum of 12,710 pounds (lbs.) 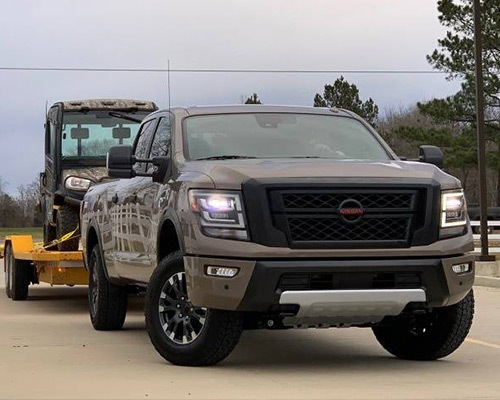 when properly equipped, there is no denying that this class leader has the power needed to tackle even the toughest of tow jobs. Elevating your potential to haul away anything starts with getting behind the wheel of a Titan XD from Universal Nissan. Of course, you do not just have to take our word for it. In total, a Nissan Titan XD appropriately configured can handle a jaw-dropping maximum payload of up to 2,990 lbs. The Nissan Titan XD S from Universal Nissan is the ideal pickup for Orlando drivers who need to get the job done right the first time. From access to the Bluetooth Hands-Free Phone System and wheel-mounted audio and cruise controls to an Alsin six-speed automatic transmission and 17-inch (in.) styled steel wheels, there is plenty to love when it comes to this trim package. Built on a basis of bringing premium features directly to you, the Nissan Titan XD SV is as close to a perfect truck as you can get. Living up to these lofty expectations is easy, though, when you have access to chrome exterior trim, trailer sway control features, stain-resistant cloth seats, and countless other high-end inclusions. 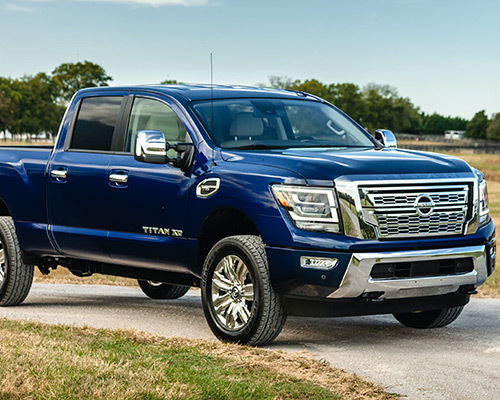 Built for the road and the trail, the Nissan Titan XD Pro-4X is a truck that comes loaded with a bevy of class-leading features. Specifically, front tow hooks, an integrated gooseneck hitch receiver, Bilstein off-road performance shocks, an electronic locking rear differential, and plenty of other top-tier inclusions lead the way for the Pro-4X. Does the idea of not being able to stay connected to the digital world leave you sweating profusely? Then the tech features found in the Nissan Titan XD are right for you. From the ability to connect with Android Auto and Apple CarPlay to a super-sized seven-in. monitor, there is no denying that this pickup can keep you in touch with texts, apps, and so much more. In keeping with a recurring theme found across the Titan XD, you have multiple bed sizes from which to choose. In total, opting for the single cab nets you an eight-foot bed, while the king and crew cabs unlock a 6.5-foot bed. Regardless of which one of these options you go with, it is safe to say that the Titan XD has exactly what you need to get the job done right. Once you put all of this together, one thing becomes clear in a hurry: If you want to get the most out of your daily routine, then now is the time to buy or lease a Nissan XD from Universal Nissan in Orlando.